The Thermo Heracell 150i series CO2 incubator provides touch screen simplicity and non-corrosive stainless-steel interior chamber. This CO2 Incubator creates the ideal in vitro environment: clean, reliable and easy to use, near body temperatures, protecting valuable samples while optimizing cell growth for your ova and embryos. The Heracell 150i has fast recovery characteristics such as direct humidification of this lab incubator through a water reservior, getting back faster to optimal growing conditions 5 times faster than traditional incubators. This lab incubator also features a tempered glass door that allows users full view of their samples without disturbing the environment. 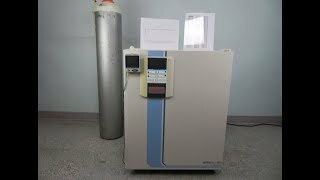 This Thermo HERAcell 150i CO2 incubator has been thoroughly tested to meet factory specifications and carries our standard warranty. Should you have any questions please don't hesitate to contact.